Admit it. The moment you hear a Mariah Carey song on the radio, an overwhelming desire to hit her signature high notes takes over your body. You clear your throat and fix your posture- heck, I've gone as far as placing a finger in my ear like the professionals do- all for the sake of mimicking Mi-Mi. There is no denying her voice. This woman has chops. I can only imagine all the sweet lullabies she sings to her children as she settles them for a night's sleep. What a blessing! Over the years, Mariah Carey received five Grammy Awards and remains the top-selling female recording artist in history with over 200 million albums, singles and videos sold worldwide. But wait, there's more. Mariah Carey’s Cinderella storybook signing to Columbia Records in 1990 is entwined with the magic of that decade. At the very outset, she accomplished what no other pop artist had done in the history of the Billboard Hot 100, sending her first five consecutive singles to the #1 spot. Indeed, eight of her first ten singles hit the #1 spot between 1990 and 1993, and the decade would see Mariah place 15 hits at the top of the Hot 100 through 1999. 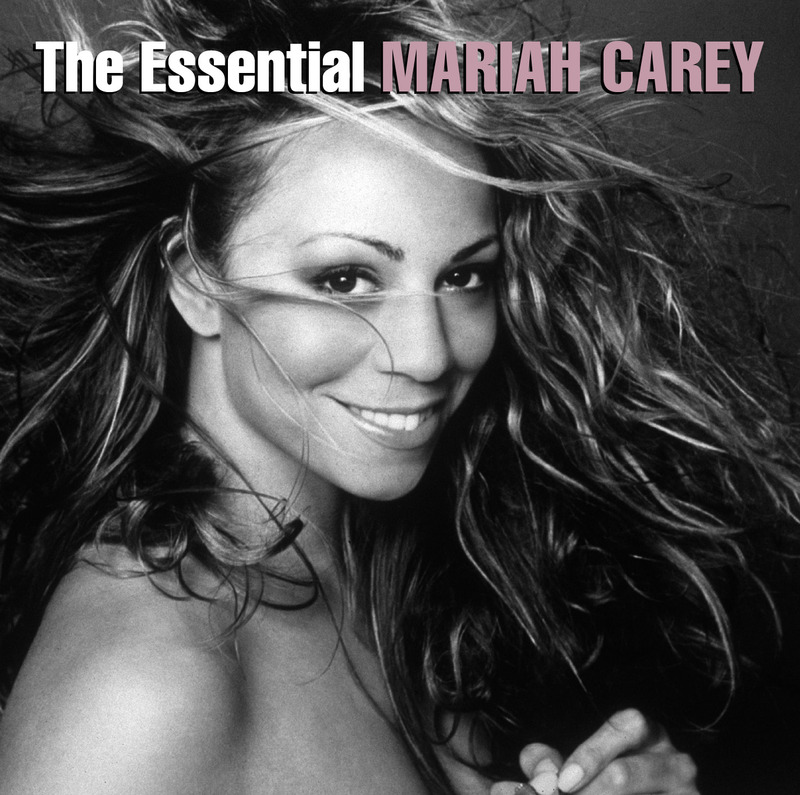 In 2005, Mariah earned her 17th #1 career single (“Don’t Forget About Us”), tying one of the most enduring chart records in Hot 100 history, Elvis Presley’s 17 #1’s. Three years later, Mariah surpassed Elvis with her 18th #1 Hot 100 hit (“Touch My Body”). Mariah is currently positioned as the only active recording artist in the 54 years of the Hot 100 (which began in 1958) with the potential to surpass the Beatles’ all-time high of 20 #1 hits. While I'll find these accomplishments extremely impressive, I am quite sure most women out there can agree that becoming a mother is one of the greatest "achievements", if you will, any person can ask for. Not to take anything away from her successful career, which I'm sure has provided her an immense amount of joy as well. “I wanted to create a collection of some of my favorite songs,” explains Mariah. Disc One – Selections: 1. Vision Of Love • 2. Love Takes Time • 3. Vanishing • 4. I Don’t Wanna Cry • 5. Emotions (12-inch Mix) • 6. Can't Let Go • 7. Make It Happen • 8. I’ll Be There (featuring Trey Lorenz) • 9. Dreamlover • 10. Hero • 11. Without You • 12. Anytime You Need A Friend (C + C Club Remix) • 13. Endless Love (duet with Luther Vandross) • 14. Fantasy. Disc Two – Selections: 1. One Sweet Day (Mariah Carey & Boyz II Men) • 2. Always Be My Baby • 3. Underneath The Stars • 4. Honey • 5. Butterfly • 6. My All • 7. Close My Eyes • 8. The Roof (Mobb Deep Extended Version) • 9. When You Believe (from The Prince Of Egypt) (Mariah Carey & Whitney Houston) • 10. I Still Believe • 11. Heartbreaker (featuring Jay-Z) • 12. Bliss • 13. Thank God I Found You (featuring Joe & 98 Degrees) • 14. Can't Take That Away (Mariah’s Theme). I think most people know a Mariah Carey song. She's been in this game for awhile and has made a huge impact on the music industry and her fans. In fact, my little cousin, Mariah, was named after her because her mom was such a fan. How's that for influential?! Because Mariah Carey thinks YOU are special, she has teamed up with Elizabeth Arden to leave a little treat for me to give away to one of my lucky readers. I received an identical prize pack like the one being given away thanks to Mariah Carey, Sony Entertainment and Legacy Recordings. The opinions and views are my own. I love some Mariah Carey. That's all!